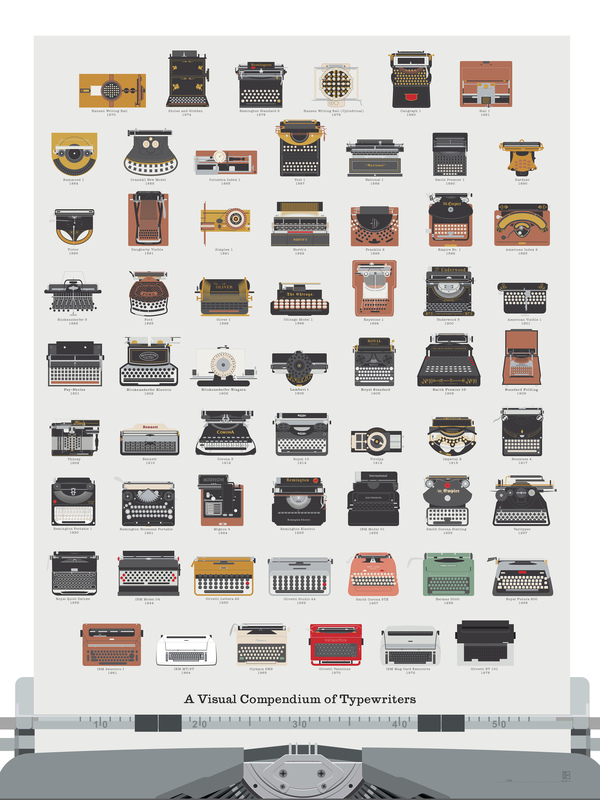 A throwback to the true original “word processor,” this chart from Pop Charts Labs features over 60 beautiful hand-illustrations of some of the greatest typewriters from antiquity (Hansen Writing Ball of 1870) to more recent history (Olivetti ET 101 of 1978). Underscoring over 100 years of essential models from the first Hammond in 1870 to the Remington Rands and Smith Coronas of the 20th century, these marvelous contraptions are arrayed in ribbons of compositional innovation. This is the best compilation of typewriter graphics I’ve ever found. Do you sell prints of it? Check Pop Chart Labs website. They are the ones who created this.